Rhinoplasty is one of the most requested forms of plastic surgery because of the prominence of the nose. However, nose surgery itself can be a daunting thought for some. Dr. Ben Talei, a dual board certified facial plastic surgeon offers the most natural, non-surgical nose jobs or non-surgical rhinoplasty in the Beverly Hills area. At the Beverly Hills Center for Plastic & Laser Surgery, Dr. Talei can use injectable fillers to provide instant results for those needing minor changes to their nose, such as reducing the appearance of bumps and indentations. Non-surgical rhinoplasty is growing in popularity because it can be done quickly, and there is no recovery time. What’s more, the fillers can even be removed if you see that you’re unsatisfied with the results. By opting for fillers like Radiesse and using Botox, Dr. Talei can provide a more symmetrical look. These non-surgical procedures are also a great solution for those with minor imperfections from a previous rhinoplasty. Though non-surgical rhinoplasty may sound like a perfect solution, it does have limitations. The entire procedure, including the limitations, can be discussed in detail with Dr. Talei during your consultation. During that time, you can also explain your goals for the procedure, and he can decide if non-surgical rhinoplasty is a fit for your needs. Dr. Talei has unique expertise, making him one of the best in his profession. He has dual fellowship training in facial cosmetic and reconstructive surgery and vascular birthmarks and congenital anomalies with laser surgery. 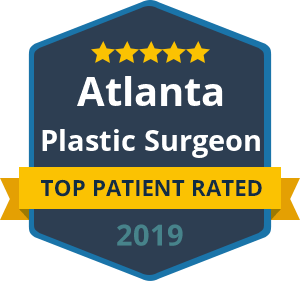 Dr. Talei has an artistic eye and surgical experience that work together to provide his patients with natural, unnoticed results in rhinoplasty. You can trust that no procedures will be done that aren’t needed or requested. Contact our non-surgical nose job specialists today to see if this procedure may be right for you. We look forward to hearing from you.